California expungement can bypasses both expensive lawyers and exploitative companies. Expungecenter.com allows those wishing to start again a chance to access options to re-create their lives. The website seeks to help others who have experienced the personal trauma of a permanent record. Mug shot archives and background check resources often release personal information to external companies, who use this information to exploit individuals and extort them for money. Other companies retain the information, and victims’ future employment, credit and future employment are held at risk. Criminal records can remain in these archives for long periods of time—if not forever—and may be accessed by anyone intending to view an individual’s past charges. Many states allow for a single easement of a criminal offense, but additional offenses are often permanent, and can harm future relationships with family members. This information might slander one’s reputation based upon a distant offense or technicality. 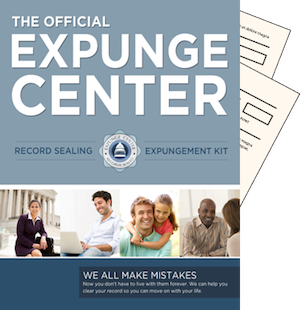 Expungecenter.com lets previous offenders expunge records in California without a courthouse hassle, paperwork or officials. Usually, previous offenders must opt to erase a record at a courthouse. The website, however, lets users pass this lengthy process. The process normally involves filing personal information through a local law firm or courthouse, but has no guarantee of success, and California state laws dictate that once a judge has issued a sentence, it cannot be cleared from the courthouse archives. The current removal method requires one to present judicial council forms to a local courthouse executive. It can take up to five years to complete this process. The website bypasses this process in both a law abiding and 100 per cent risk-free way. The online kit provides users with the materials required to start a new life. The kit allows users to bypass court appearances, lawyer payments and personal embarrassment. It is quick and effective, and allows users to save hours of time. A step-by-step informative manual is included with the kit, and will ensure an easy process to users. With the kit, individuals will be able to clean their past in a completely legal manner. The kit is geared towards residents of California, and will provide information based upon state laws. Background information accessible online—or that may be released to job interviewers—will be erased, and any information that might appear in online databases will be whipped clean. Removing a personal record grants individuals a free conscious. A clean past, free of misconceptions and harmful information, allows family relations and new prospects to flourish. With Expungecenter.com, California citizens are granted a unique opportunity to redeem their past, and avoid any fear derived from their past. A future should not be determined by such a past. The website offers redemption, and provides users with a second chance, step by step.